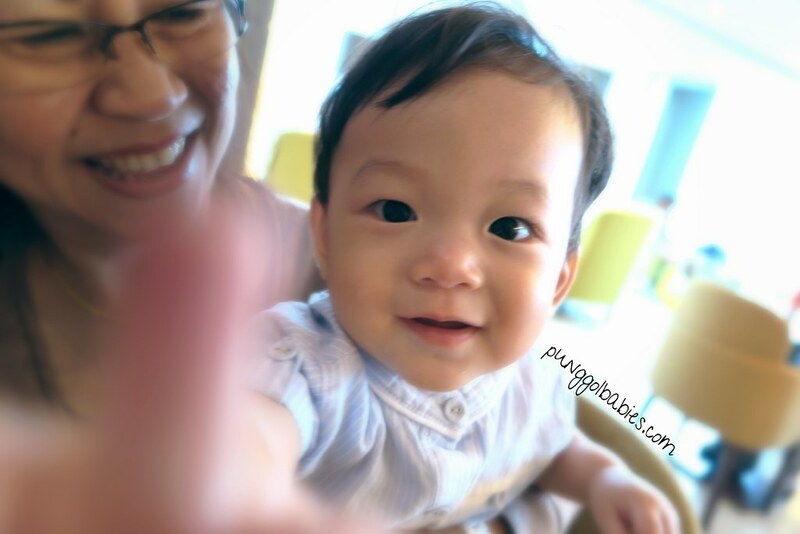 Today our littlest one at Punggol Babies officially turns ONE!! Happy birthday Isaac. Welcome to toddlerhood! 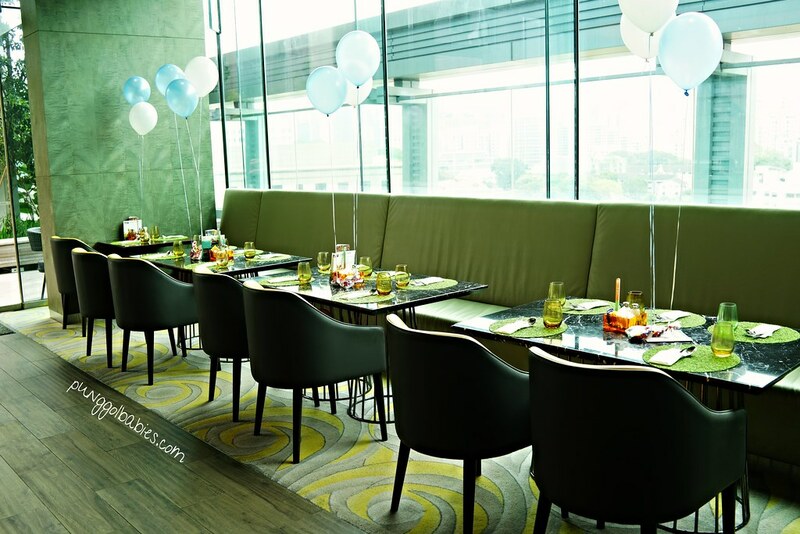 Here’s a clip for you to revisit the day we celebrated your birthday at Hotel Jen Orchardgateway. 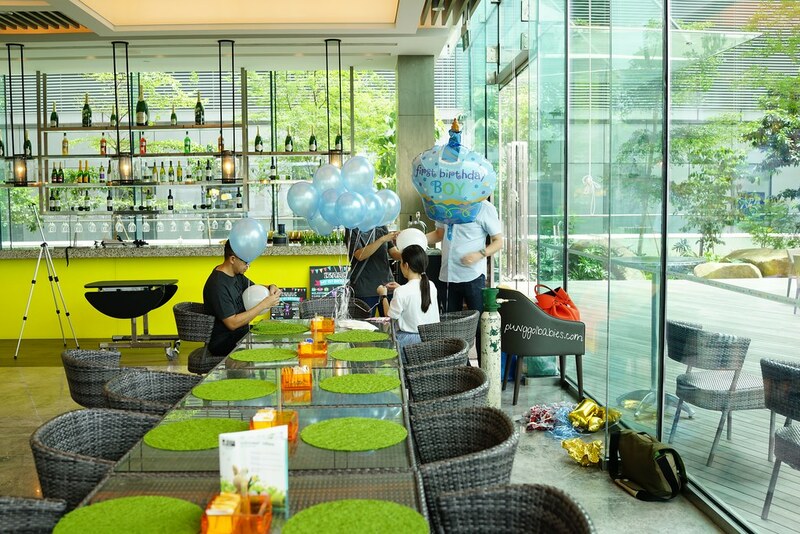 It was a cosy and happy celebration last weekend with family and friends at Makan@Jen, Hotel Jen Orchardgateway; where we held Isaac’s 1st party. All the time, energy and planning was well rewarded when the birthday boy gave his biggest and brightest smile at his very first cake-cutting session. For all events, once the location is locked down, everything else will fall into place. We contacted and shortlisted at least 3 locations and we made our choices based on a few criteria – accessibility, good lighting (for photos), good food and of cos costs. After weighing the various options, Makan@Jen was picked. Because it met all of our requirements and fits the budget. We were lucky the outdoor open air Makan@Jen Terrace was not occupied that day, and the weather was windy and great. 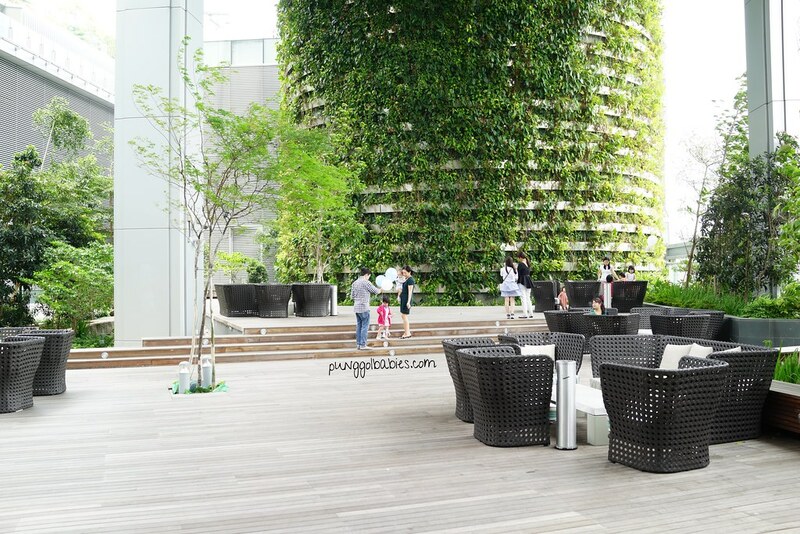 Our guests (especially the little ones) were running around at the terrace and we could watch them from inside too. Who needs planned activities when you got a huge space to do whatever you want! 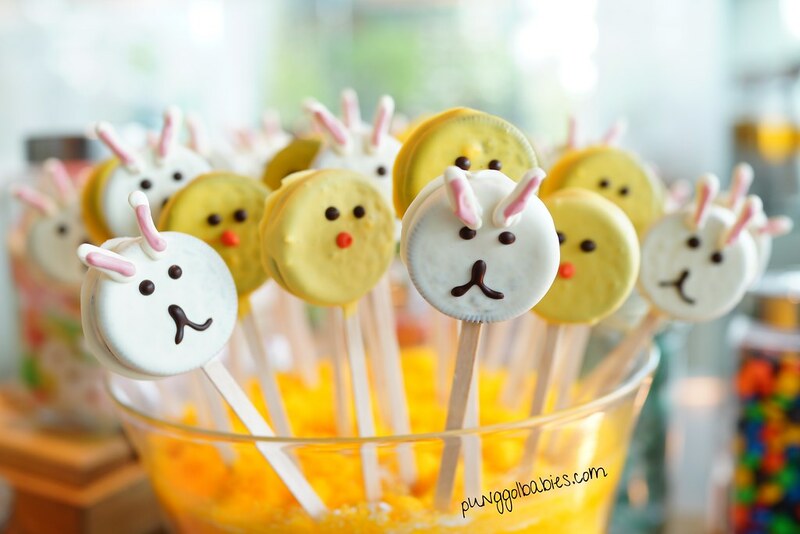 As it was also the Easter weekend, we had a cute and fun dessert bar to fill our guests with sweets treats and awesome grill and seafood from Makan@Jen kitchen. This is Isaac’s very first birthday cake and extra care had been put into the selection. After trying out the awesome chiffon cake at a friend’s party, it was a no-brainer to go with the same baker who baked it. Placing our order as early as 4 months prior the celebration, we almost didn’t make it to the list as Susanne only takes in limited number of orders per week. 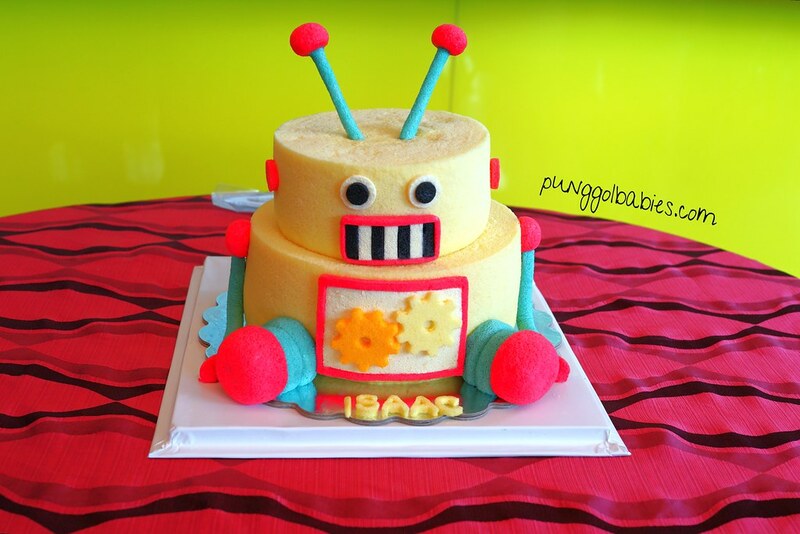 Thanks to another customer who so kindly changed her order date, Susanne was able to take on our robot cake request. When everyone crowded around it as the cake was revealed, they took out their camera and started snapping. Of cos this made the party planners very pleased. Chiffon cake was light and fluffy, the right touch to end off the afternoon after a filling buffet spread at Makan@Jen. You can take a look at Susanne’s creations on her Instagram or website. It was a finger (and cuticle) tearing and painful process. We had all underestimated the stressed on our fingers for knotting 60 latex balloons!!! We managed to get the place done up as best as we could, after losing precious foil alphabets balloons which stopped us from using any since words couldn’t be formed. Tips: Instead of using ballon weights to hold down your balloons at party, try using little treat bags instead. It not just helped hold down the balloons, but it helped us have the balloons cleared out too as guests willingly brought home some treats. 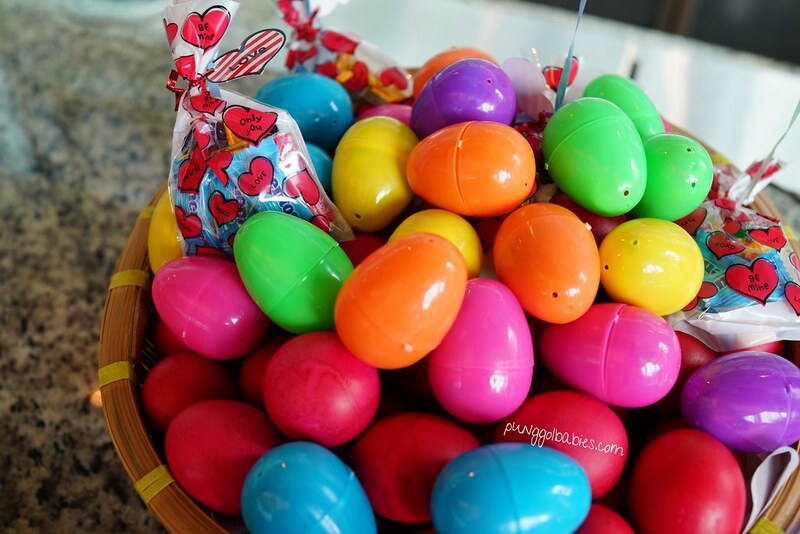 Since it was Easter, we prepared some eggs and wanted to hide them around the Terrace for the little ones to find. Alas time was moving faster than we planned, so we mixed them up with the basket of red eggs prepared by Makan@Jen for our guests to help themselves with. 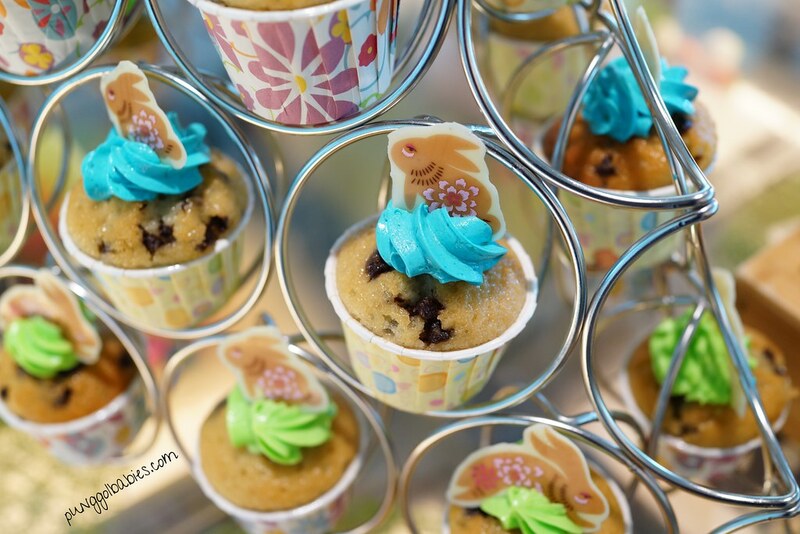 Extending The Celebration – A Family Staycation! 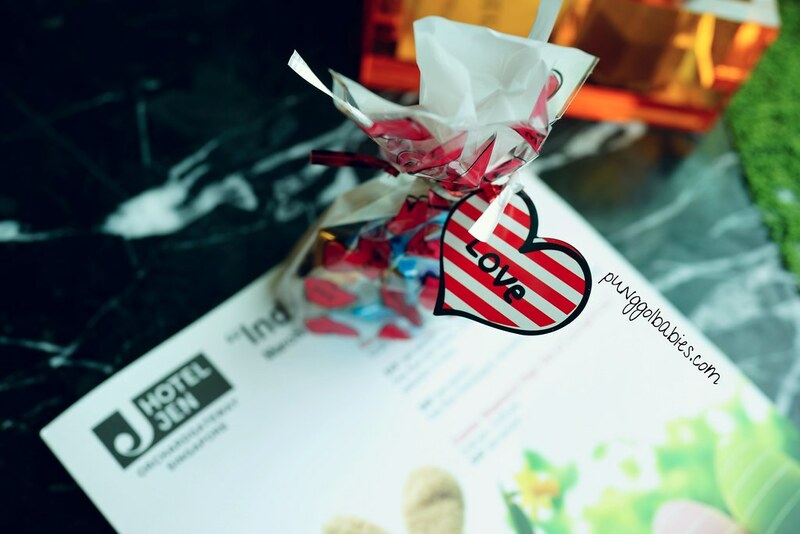 Our party and celebration continues through the weekend as we checked into our hotel rooms at Hotel Jen OrchardGateway. We’ve stayed at this hotel a couple of times and the kids really enjoyed our staycation, so this time round we booked three rooms to accommodate our families. The rooms booked came with access to Hotel Jen’s Club Lounge on Level 19, Grandpa was most delighted with unlimited supply of beer during cocktail from 5.30pm to 7.30pm. And all of us took this time to just chill and reminisce that afternoon’s celebration. Oh and the Club Lounge makes pretty good spot for photo taking too! We’ve originally booked a deluxe room for my family as we needed an extra bed for the four of us. Lucky us got bumped up to their Panorama Club room as we requested to have our rooms on the same level as the gramps. This time round, the room wasn’t as huge as our previous family staycation with Hotel Jen, but still we appreciated the space. 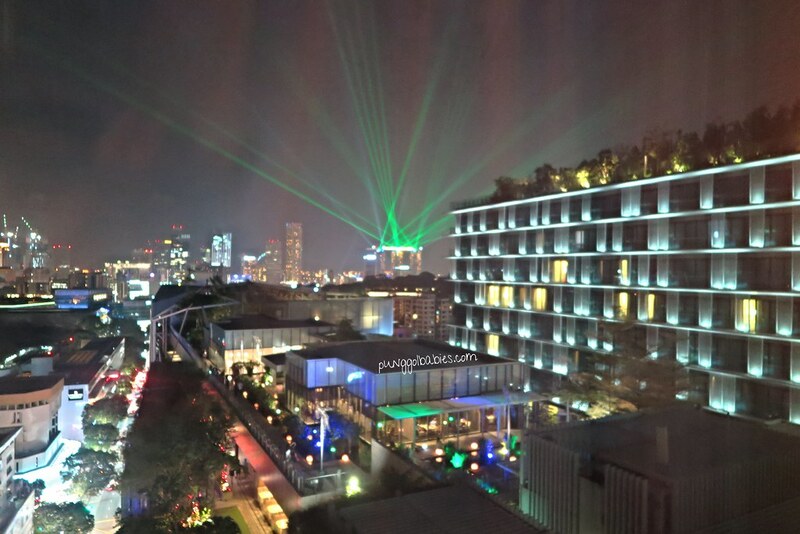 We even had a gathering that evening in our room to catch the laser show from opposite our room. Isaac was most excited to see those green lights beaming in the night sky. And of cos we cannot missed out the fun time by the pool at Baywatch@Jen on level 19. This was the one thing that the kids were all looking forward to! Just look at their happy faces! Can check out my review of the hotel here and here. This is probably the one party for our family in a long long time. I love party planning, but pulling this off was quite an experience. Even more stressful then those events I plan for work! Good thing we have all agreed that the Punggol Babies will only have one big celebration when they are young. The next one will probably be when they reach 21 ba. 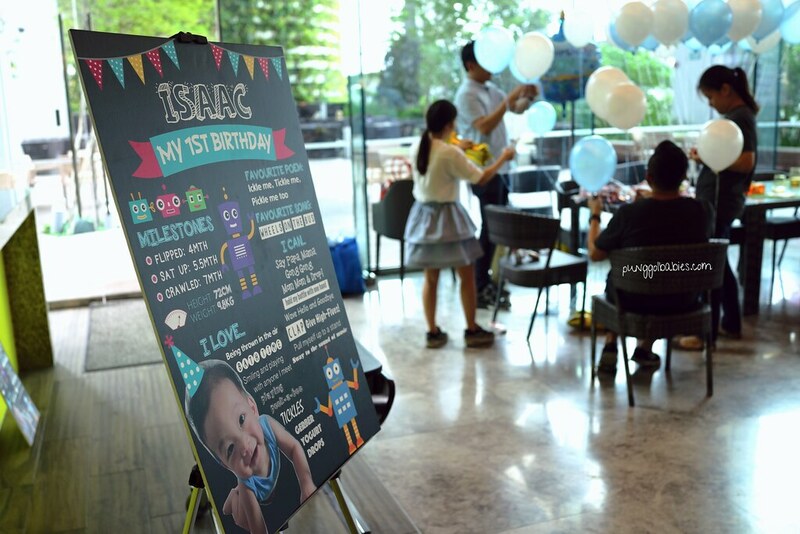 Thanks to everyone who came and made this day so special and fun for our little baby boy. Hope you’ve had an awesome time too!